I decided to do a slightly larger print. I think I finally got all the settings dialed in for success. And then failure struck. For some reason it not only stopped moving up on the z axis. It actually lowered for some reason - and the heated tip fused into the piece (and im pretty sure bent the tip) not a great way to start. On the plus side none of the servos burned out and I was able to jog in all directions after removing the printing module. Now i have to figure out how to change the tip. Wasn’t expecting to have to on my third print. Any ideas what caused this problem? Have you figured out the reason for this or has Snapmaker support helped? 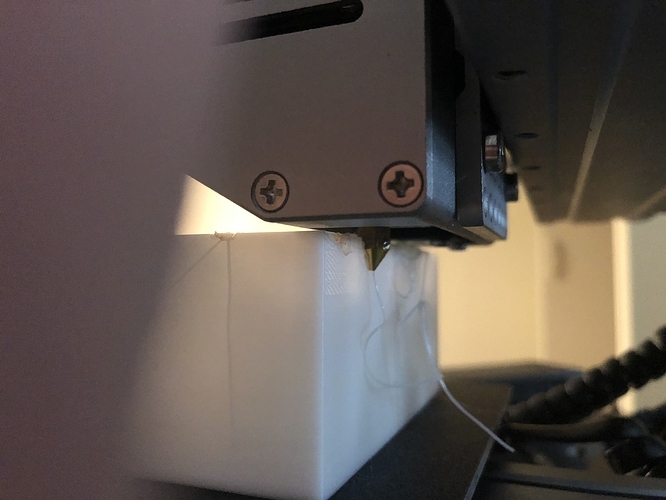 I’m having a similar issue where my Z axis is working fine and then stops moving and it’s tearing up my prints. I’m using Cura to create the g code. 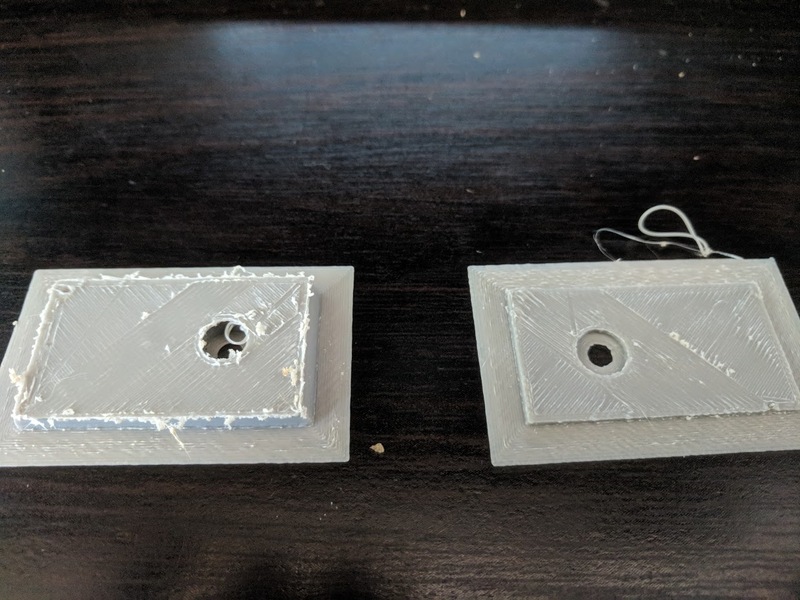 I can have the same print work perfectly fine and complete, but then the second time I print it may not work. It’s very odd. I have meet the similar case yesterday and today. There are total 4 times. with 2 different models. 3 of 4 times are stop at certain Z-height. but X/Y still moving. The nozzle keep scratch on the material, when issue happen, I stop the print, and tried to use controls to moving the Z height, not works. Power off and power on again, then Z-height control is working again. The last failure is also interesting, Z-height ever stop for certain time, but recovered to moving again. I made some trouble shoot, change the Y/Z, still have failure. later I modified model file a little bit, it works for 2 print. Seems Snapmaker have issue to hand some corner case. I reached out to support and they had me change my z drive from port 5 to 4. Once I did this, everything worked properly. Apparently there is an issue where port 5 gets shorted out. Thanks for share! After update model, printing is stable. I will keep monitor. If ESD damage theport, it shall not work at all.but it recover after power on & off. I got the issue again, After 4~5 good print, issue occurred again. now I change Z- drive port from 5 to 4. See weather it helps. 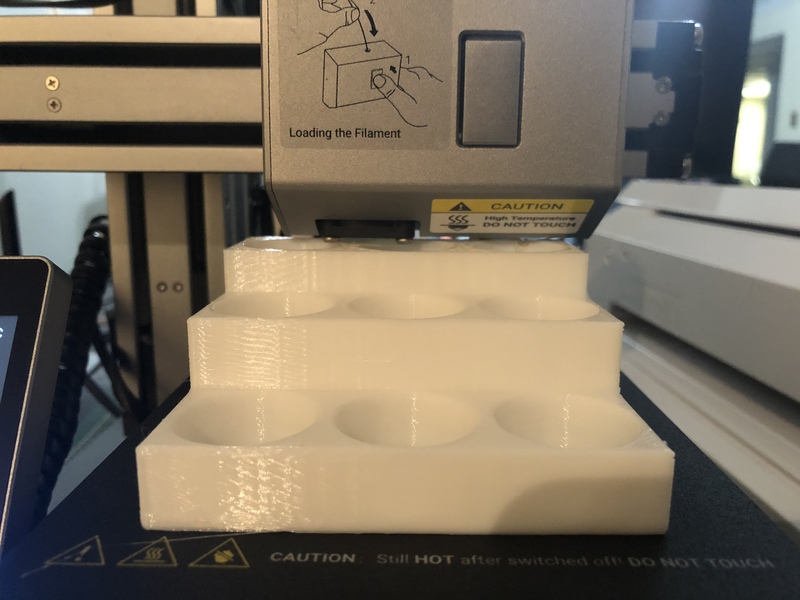 I had the same thing happen: Did some good prints and then tried a larger one and the z-axis stopped working while the x, y, and material feed & nozzle heat continued. Made a rather flat mess. 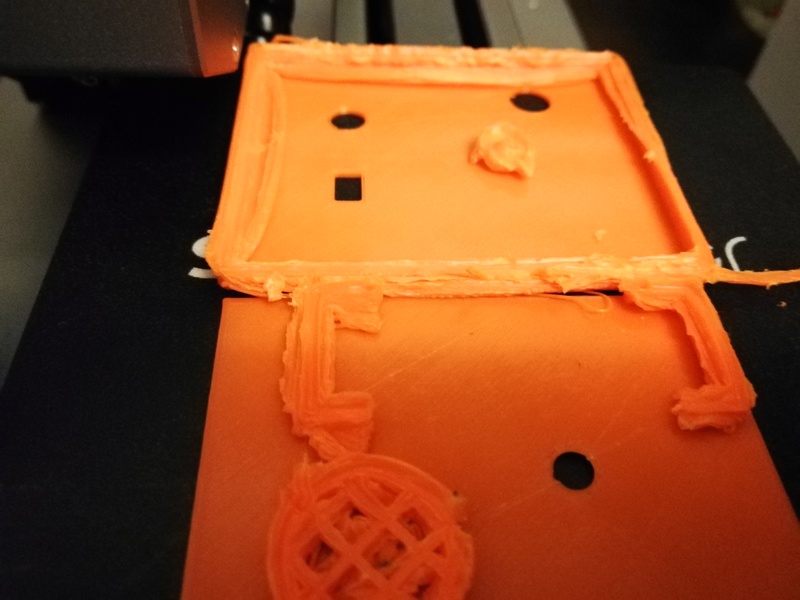 When this happened and I stopped the print, the Jog mode would not move the z-axis. After power cycle, everything worked fine. After some troubleshooting, I found the root cause is the g-code generated by Snapmaker3D. The g-code moved the head down into the material and the controller took the servo motor feedback as a failure and would stop all further movement on the z-axis (until power cycle). I manually edited the g-code, making the z-axis value always increase and the print works great. This is a bug in Snapmaker3D that needs to be fixed. How do I log a bug report? How do I log a bug report? There are some bug reports there specific to certain versions. Be sure to mention what version of software your using. Have had this exact same problem start happening for me. I have only completed 2 successful prints, and the last 4 prints I have tried start, and at some point between 15-65% complete stop responding on the z-axis completely, resulting in the extruder digging into the print and just printing on the same z-level messing up the entire print, if it does not cause it to completely detach from the bed. Once this has happened, if I go to the axis control and try to move it on the z-axis, nothing happens. It does not respond to any + or - commands, and the other two axis also respond very slowly. with a 10 or so second delay, as if the entire machine is lagged down. As soon as I power it off and back on again, I can go back to the axis controls and all of them respond immediately. My Z-axis is already connected to port 5. I have just moved it from 5 to 4 to try again and see if anything gets better. Just here to add that the malfunction noted here has been happening to me as well. The good news seems to be that it is a problem with the controller unit. Has anybody seen anything resembling a response from snapmaker? Has anybody seen anything resembling a response from snapmaker? It’s a known issue, they simply recommend switching the connection to the other Z-axis port. I now have the same problem on the alternative port. Have they acknowledged that the control unit has a design flaw and needs to be replaced? How do you change the Z port from 4 to 5 or vice versa? Is there a setting somewhere? I started experiencing this yesterday. I’m in South Africa and have a lot of static this time of the year. Is there any recommendation to reduce the static? Is my port 5 now permanently damaged? Can I move it back to port 5 in a month or two? I’m having the same problem. After restarting it works fine again so it does not seems to be a short circuit. Only happened in higher projects, usually above 8 cm. I’ll try switching the port 5 to 4. I have same issue. On firmware 2.9 and js 2.5.2 (2.5.3 had issues with printing). I will try the other port. z-axis dies mid print and its impossible to move it before I turn Snapmaker on and off again. No jog, moving from js does not work, changing filament does not work (retracting). 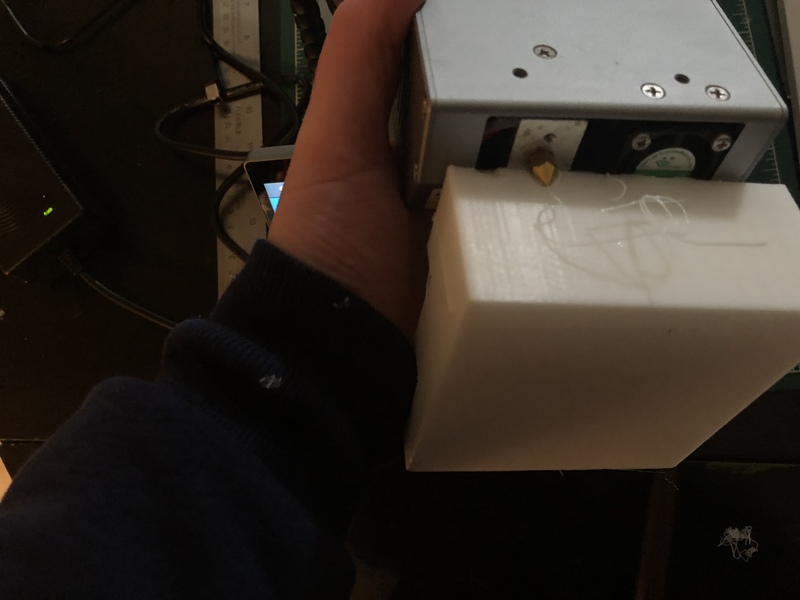 If Static is a problem, couldn’t one attach a wire to the baseplate of the printer and run it to a waterpipe or the screw on the faceplate of the power receptacle (which should be grounded) ?